In the world of drug manufacturing, change is a constant. In order to be successful, Contract Development and Manufacturing Organisation’s (CDMO’s) must remain flexible, anticipating and adjusting to market dynamics as necessary. This ability to adapt is critical to establishing a successful and efficient supply chain. What are some of the key processes and individual demands that CDMO’s must take into consideration when addressing new markets while continuing to maintain high quality and safety standards? Michael Schmitz, Vice President of Planning & Logistics at Vetter offers his insights. 1. What are the major changes you see affecting today’s pharmaceutical supply chain? The primary change we see is that of market dynamics and rapid growth resulting in an increased complexity in the supply chain. In an era of globalisation, international pharmaceutical and biotech industries are faced with continuous market changes which include intensifying competition, higher complexity of compounds, rising costs, increasing regulatory requirements, and a steady growth in the number of products and customers. Continuous advances in research and development also drive specialisation. This differentiation of individual drugs has resulted in strong fluctuations in market demand and growing pressure on the pharmaceutical supply chain. 2. How will these changes affect the way contract manufacturers approach their business? The fluctuations resulting from globalisation will have a challenging impact on the advance planning of contract manufacturers, especially when it affects drugs manufactured in smaller annual volumes, increasing customer service levels, and reduced lead times. To remain relevant and successful, drug manufacturers must have the flexibility to be able to react quickly to changes in demand while continuing to provide a secure supply chain and maintaining a high quality level. To adapt, service providers have to embrace market changes and react accordingly, particularly in regards to fluctuating demand as a natural market development. They must realise that the market dynamics are a form of “natural” conflict, filled with volatile and uncertain demands. 3. Given this complex scenario, how does a CDMO establish an efficient supply chain? It is important to begin with the establishment of open communication between all stakeholders including the drug manufacturer, service provider and any suppliers. By doing so, this coordination and cooperation will strengthen the relationships through a common understanding of the other parties’ expectations, allowing for the overcoming of roadblocks and challenges that could disrupt both operations and the partnership. For example, processes such as demand exchange, or cut-off times for purchase orders can be handled through a supply agreement between the pharmaceutical company and the CDMO to help avoid is understandings of different targets. Ongoing consultations in the form of business review meetings, monthly reviews of supply and demand, or customer Sales and Operations Planning Process (S&OP) meetings allow for a highly focused view of the situation and early identification of changing circumstances. The internal target is high maximised machine utilisation, and the external target high customer service level. It is best to think in scenarios of minimum, base, and maximum when in defining capacities for upcoming months. Optimised planning processes demand certain preconditions in production in order to facilitate flexibility especially as it applies to areas of technology, processes, and human resources. 4. How does a CDMO adapt to these variable demands in the supply chain? Adapting to the needs of the market is critical for success. It matters little whether it’s a sudden increase in demand or decrease in available API, a CDMO must stand ready to allocate resources according to real-time demands. For example, final planning for cleanroom capacity utilisation must be done weeks before production. To realise this level of high flexibility means a CDMO must have the use of multiproduct lines featuring modular equipment since it is essential to be able manufacture one product on different lines. A CDMO already having established and validated equipment and processes in place is a distinct advantage. Today, many biopharmaceutical companies prefer qualifying two different clean rooms at the same service provider when security of supply is absolutely crucial orif a second supply site does not exist at all. Another area of great importance is human resources since employees cannot focus solely on one specific job and must be trained as well in handling different tasks within the manufacturing process. This flexibility of the workforce allows for the use of staff at short notice in other work areas where there may be a greater capacity gap. 5. Should issues regarding storage capacity and stock also be taken into consideration? That is absolutely the case. The volatility of the market has a significant impact on storage capacities of CDMO’s, especially API, deep-frozen or finished products. The shelf life of products is of critical importance to the customer. Thus, the cold chain must be maintained throughout the entire production process in order to uphold their quality. It is essential that provisions be made for providing comprehensive storage for these products in a variety of different temperature needs. A CDMO can react to unforeseen demand changes only when inventory is available and accessible in the short term. Any fluctuations in demand or increased regulatory requirements often challenge the proper adjustment of inventory for an in-time production process. At the end of the process, all products must be maintained and stored properly in the warehouse regardless of whether it is ambient or cold storage. 6. Do you have any final thoughts that you would like to share? It is clear that globalisation of the drug industry and the market dynamics that define it will continue to lead to new markets. To be successful, it is essential that each new market be addressed and served according to its specific demands. As the number of drugs continues to increase and supply chains become more complex, pharmaceutical companies and CDMO’s must be prepared to face the challenges that result. There is a clear need to further improve upon open communication in a sharing demanding scenario. It will take efficient processes to achieve the desired flexibility while maintaining high quality and safety standards for the products. The key to an agile CDMO supply chain is real-time planning with the possibility to adapt capacity to react flexibly to changes in demand. 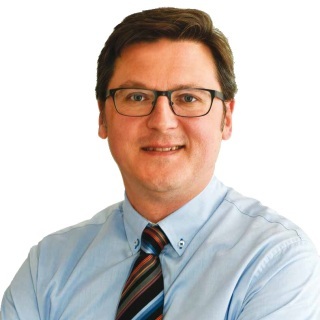 Michael Schmitz is Vice President, Planning & Logistics of Vetter Pharma-Fertigung GmbH & Co. KG. In this position he is responsible for overseeing a staff of individuals focused on all logistic operations, as well as planning for all production resources and promoting OEE measures and customer service levels. He is also responsible for inventory management. Schmitz joined Vetter in 2009 as Director of Logistics. At the time, he was responsible for leading the S&OP process and for heading up Logistics Operations, and was also site manager.